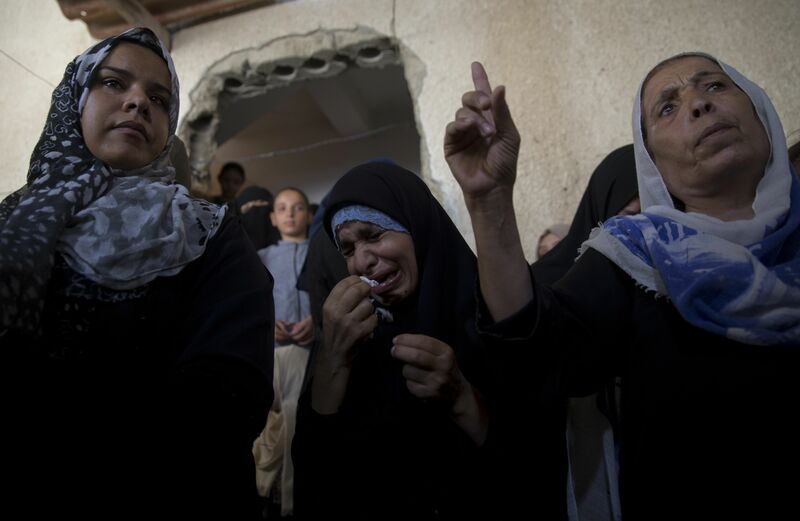 Thousands of Palestinians marched on Saturday in the funeral procession of the Palestinian mother Ayesha al-Rabi, aged 45 and killed one day earlier in a stone-throwing attack by extremist Israeli settlers south of Nablus. The funeral procession kicked off from the An-Najah Hospital in Nablus on way to the casualty’s home in Bidia, in Salfit. Her body was laid to rest in the local cemetery. Ayesha martyred of her wounds on Friday after Israeli settlers pelted stones at the car she was travelling in with her husband near the Zaatara military checkpoint, south of Nablus. Ayesha succumbed to serious head wounds inflicted by the Israeli assailants. Her husband was left injured.